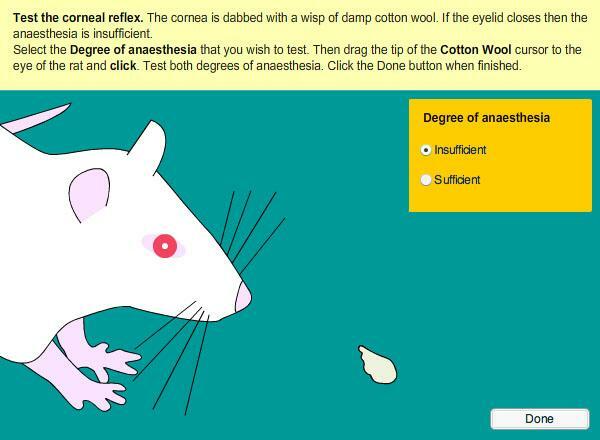 This highly interactive program simulates a range of experiments to demonstrate the effects of a variety of pharmacological agents/procedures on blood pressure and heart rate of the anaesthetized rat (in vivo). It is aimed at undergraduates studying pharmacology modules on a range of medical and science courses. 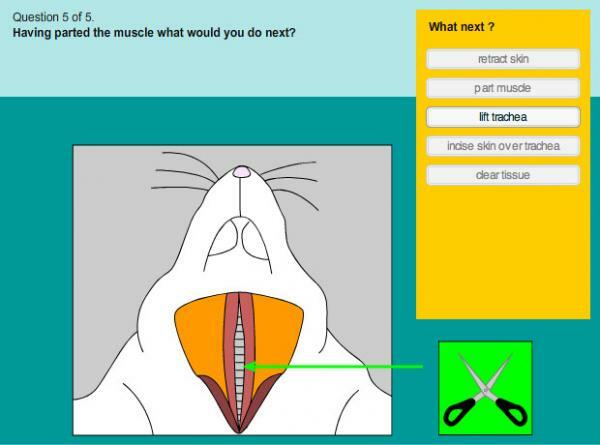 Each section combines text, high quality colour graphics, and animation with interactive questions designed to reinforce learning. Students are expected to record and tabulate data from the screen display and to then complete student assignments e.g. a series of MCQ questions, with feedback, to assess accuracy of data collection and data interpretation; a student task (typical of a traditional lab-class report) to be completed in their own time. In addition there is a section containing a selection of MCQ's with feedback covering cardiovascular pharmacology which students can use for revision. Target Audience: Undergraduate students of pharmacology, pharmacy, biological sciences, medicine and veterinary medicine. Price: £250 (multiuser, educational license).